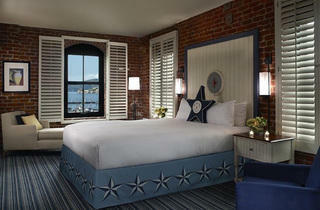 This nautical-themed hotel has been a mainstay of San Francisco’s best hotel list for years. Constructed of red brick and Douglas Fir back in 1907, this Fisherman’s Wharf behemoth pays homage to San Francisco’s Barbary Coast days with ship paraphernalia and sea mythology galore. Despite the anchor prints and porthole-shaped mirrors, though, the Argonaut manages to stay classy with dark fabrics and careful attention to detail, like a yoga mat in every room, that keep guests coming back year after year. 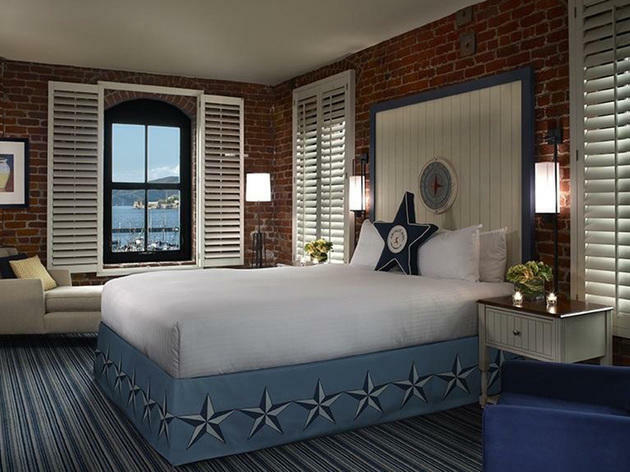 With fantastic views of the San Francisco National Maritime Park, Alcatraz and the Golden Gate Bridge this is a great luxury hotel for the whole family, including the pets.